Black Bear in Pedersen Lagoon. 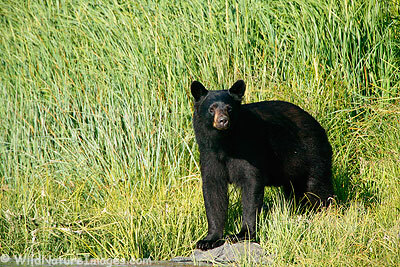 An annual salmon run brings lots of black bears to the shores of Pedersen Lagoon, Kenai Fjords National Park. I think I counted 13 separate bears over a two day period just within the lagoon! 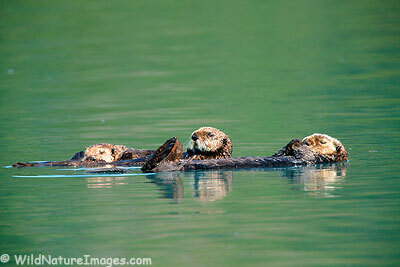 A sea otter family enjoying the relative safety of Pedersen Lagoon, Kenai Fjords National Park, Alaska. Notice the large pup asleep on the belly of one of the adults.